Huge Savings Item! Free Shipping Included! 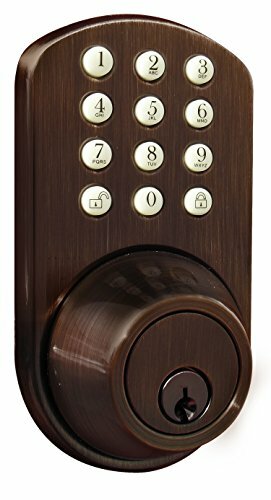 Save 11% on the MiLocks TF-02OB Digital Deadbolt Door Lock with Electronic Keypad for Exterior Doors, Oil Rubbed Bronze by MiLocks at N Online Agency. MPN: TF-02OB. Hurry! Limited time offer. Offer valid only while supplies last. Questions issues call us! 1-800-355-0157 please make sure you are using a quality set of batteries. Most issues are resolved by replacing batteries.